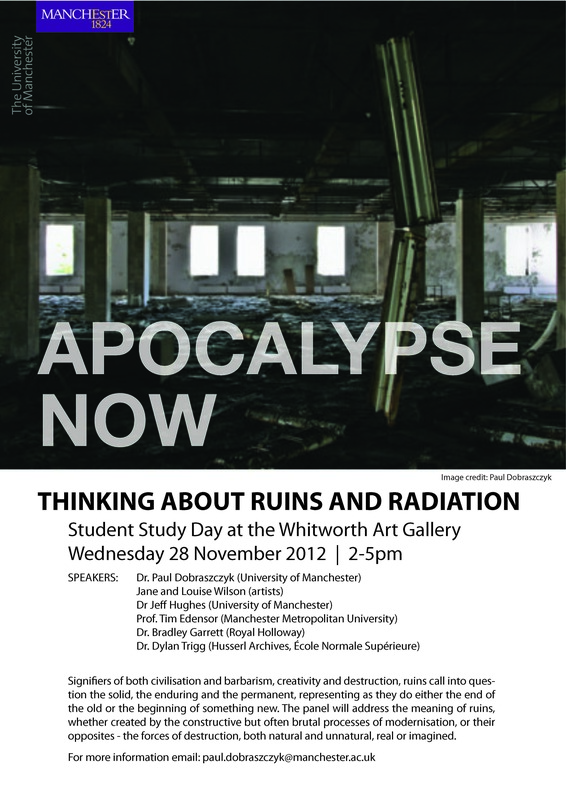 A study session organised by me (Dr Paul Dobraszczyk) exploring contemporary perceptions of ruin that also engage with the current exhibition of works by Jane & Louise Wilson at the Whitworth Art Gallery in Manchester. Since 9/11, ruins have come to occupy a central place in visual culture: as images of the aftermath of acts of terrorism or the resulting war on terror; the ruin of the housing market after the recent financial crisis; or a post-apocalyptic obsession in cinema. 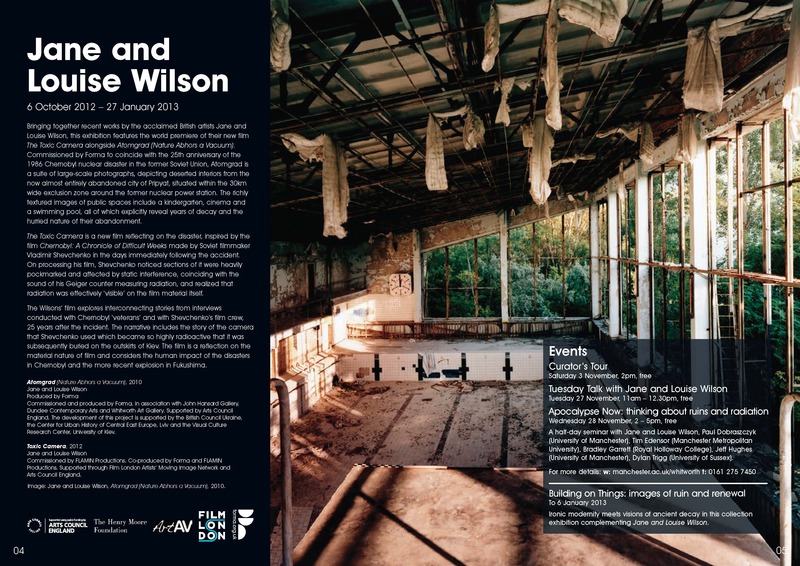 This session will examine contemporary notions of ruin and ruination, engaging directly with an exhibition of photographs and films of the ruined Chernobyl site by Jane and Louise Wilson, and calling on a diverse range of ruin obsessives from the fields of philosophy, science, cultural geography, art, and architectural history. 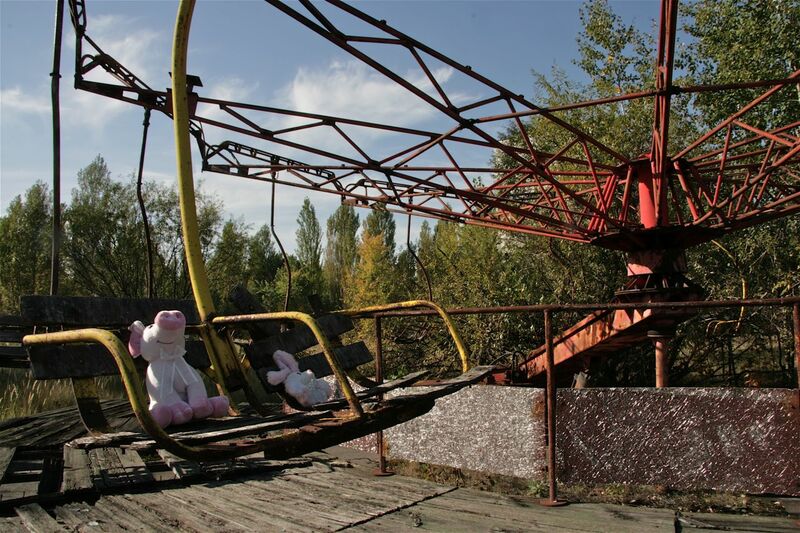 Signifiers of both civilisation and barbarism, creativity and destruction, ruins call into question the solid, the enduring and the permanent, representing as they do either the end of the old or the beginning of something new. 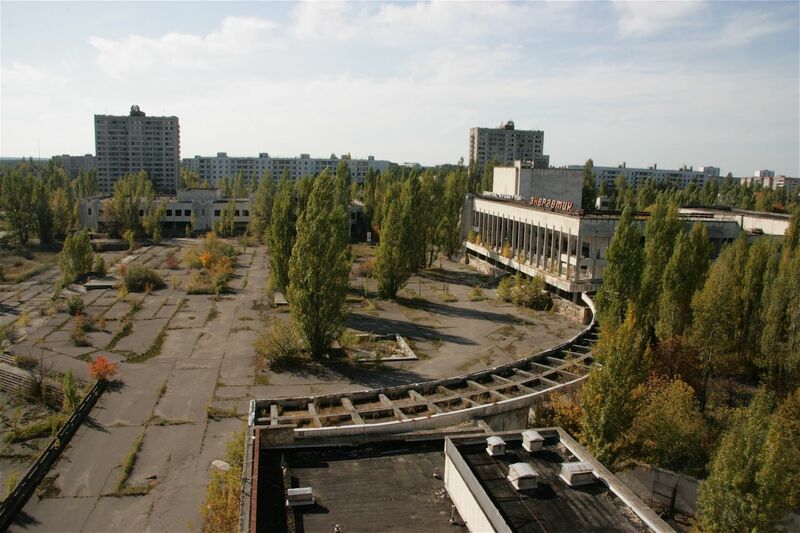 We seek to learn from this challenge presented by ruins, whether they be created by the constructive but often brutal processes of modernisation, or their opposites – the forces of destruction, both natural and unnatural, real or imagined.